The National Green Tribunal (NGT) issued a historic judgment on May 7th, 2015, on the Special Economic Zone (SEZ) project by Mantri Tech Zone Pvt Ltd and another project by Core Mind Software and Services Ltd. Both the projects were being constructed on the catchment area of Agara and Bellandur lakes. The highlight of the verdict was the Tribunal slapping a penalty of Rs 117.35 crore and Rs 22.5 crore to Mantri and Core Mind respectively, for commencing the project before obtaining Environmental Clearance. The Tribunal has also formed an eight-member committee to inspect the projects in question and submit a report to the Tribunal, on the continuance of such projects. The judgment, though has given some hope to the activists fighting the case, does not seem to be the end of the legal battle on the environment aspect of the projects. The citizen activists heaved a sigh of relief when they heard about the verdict. However, they affirm that the issue is not over yet. Nitin Seshadri from Koramangala 3rd Block Residents’ Welfare Association, said that they are planning to approach the Supreme Court challenging a few aspects of the NGT judgment. “While the penalty imposed on the builders is a welcome move, we are not quite satisfied with two aspects. Firstly, the NGT has not ordered to stop the project despite various reports submitted by technical experts and the authorities explicitly suggesting that the project would prove a disaster to the wetland of Agara and Bellandur lakes. Secondly, the judgment has not held the officials who have issued licenses and permission to the project, accountable,” he said. Vijayan Menon from Citizen Action Forum that was a party in the case called the judgment “pretty strong.” “This is just the beginning and the fight is not over yet. We are ready to continue the fight if builders challenge the judgment of the Supreme Court. We are also planning to file a caveat in the SC, to ensure that we are heard if the respondent moves to the SC questioning the Tribunal judgment,” he said. On asked what this judgment meant to the public who have been fighting for the cause of environment, he said it will boost the morale of those who are fighting for the cause. Sridhar Pabbisetty, CEO of Namma Bengaluru Foundation (party in the case), too welcomed the judgment and said that he would not jump the gun while placing the next step. “Though we strongly believe that stopping the project and restoring the lake bed is the best choice, we would like to wait for the committee constituted by the NGT to submit its report,” he said. He is hopeful that the judgment will make an impact on the realty sector as the builders will be forced to follow due process before commencing development projects. In an e-mail, Rajyasabha MP Rajiv Chandrashekhar who has been supporting the fight through Namma Bengaluru Foundation, called the verdict “historic.” He said he raised the matter in the Parliament and demanded the Environment Ministry to conduct an audit and review of all clearances and approvals given to lakebed and ecologically sensitive projects in Bengaluru on an urgent basis. “The Minister agreed to intervene and assured that he will initiate immediate action and ensure strict action against those officials who has been negligent, either by ensuring clearances without due diligence, by failing to monitor compliance,” Chandrashekhar said. Sharing some background, Muralidhar Rao, founder of Praja-RAAG, said that during an early dialogue the members of the Civil Society had with the project proponents, the argument was that “such developments were already happening in the area – so, what’s new”. “Yes, that’s true, and the citizens were eying them all with increasing concern. And, when a project of this massive scale came up, they decided enough was enough, and chose to assert themselves collectively,” said Muralidhar Rao. The Tribunal has refrained from passing an order stopping the further progress of the project or has not sought its demolition. However, the Tribunal has imposed restrictions on creating third party rights by way of sale or lease. Hence, the project could continue for the time being till a Committee formed by the NGT inspects the project and submits a report in three months. In its judgment, the National Green Tribunal imposed a penalty of Rs 117.35 crore and Rs 22.5 crore on Mantri Tech Zone Pvt Ltd and Core Mind Software and Services Ltd respectively, for commencing the construction work even before obtaining the Environment Clearance. However, the Tribunal declined to pass an order or direction to stop further progress or demolition of the project. The Tribunal chaired by Justice Swatanter Kumar delivered on Thursday, May 7th 2015, the judgment in the case filed by city-based organisations – The Forward Foundation, Praja Raag and Bangalore Environment Trust – against the SEZ project taken up by Mantri Techzone Pvt Ltd and another project by Core Mind Software and Services Ltd on the catchment area of Bellandur lake. Deeming it as a fit case where the “polluter pays” principle could be invoked, the NGT imposed a penalty on the builders under Section 20 of the NGT Act. The penalty is five percent of the total project cost. 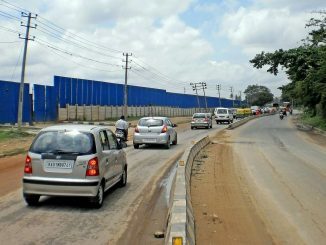 The Tribunal has directed the builders to pay the penalty to Karnataka State Pollution Control Board (KSPCB) within two weeks. “The KSPCB shall maintain a separate account for the same and would spend this amount for environmental and ecological restoration, restitution and other measures to be taken to rectify the damage resulting from default and non–compliance to law by the Project Proponent in that area, after taking approval of the Tribunal,” the verdict stated. The Tribunal observed that Environmental Clearance was issued to Mantri and Core Mind on February 17th, 2012 and September 30th, 2013 respectively. However, construction activities had been carried out by the project proponents much prior to the grant of Environmental Clearance. A Senior Officer from the National Institute of Hydrology, Roorkee. The NGT has directed the committee to inspect not only the sites where the particular projects in question are located, but also other areas of Bengaluru where various projects might have had impact upon the waterbodies, particularly lakes. The committee’s mandate is to inspect the project and analyse whether the projects in question have encroached upon or are constructed on wetlands and Rajakaluves and its impact on the environment. The committee will also suggest remedial measures to restore the ecology of the area. This will include examining whether any part of the project should be demolished. The committee will have to suggest what should be the buffer zone around lakes and Rajakaluves, for all lakes. The bench has restrained both the developers from selling the land or passing on the property or fine to potential purchasers until the report is submitted. The committee has to submit the report to the Ministry of Environment and Forest and the Tribunal within three months. More importantly, the Tribunal has Restrained MoEF, SEIAA or any public authority from sanctioning any construction project on the wetlands and catchment areas of the water bodies in the city of Bangalore. In effect, this means that from now on for next three months no construction project can get plan approval until the Committee submits its report, and the Tribunal takes the next step. The NGT observed various processes including terms of the Environmental Clearance, which had a condition of not to disturb the storm water drains, natural valleys, etc. and maintenance of buffer zone area around the Rajakaluves. Sumit Attri, who represented NBF in the case, said that though the case stands disposed of, the Tribunal is free to give directions to the project proponent based on the report submitted by the committee. In case of adverse report, the Tribunal can also direct the builders to stop the project. The report by Indian Institute of Science based on which Citizen Matters had written articles, along with the monitoring report by Ministry of Environment and Forests have also been quoted in the judgment. These reports suggested the impact of the projects on environment and ecology of the area. Applicants had demanded the restoration of the ecologically sensitive wetland in the wake of massive projects worth Rs 2,300 crore coming up in Agara and Bellandur lake area. They had also sought a direction from the NGT that the valley land is to be maintained as a sensitive area, without developments of any sort so that the ecological balance of the area is not disturbed. They had questioned as to how the green ‘Valley Zone’ in the BDA draft Master Plan, had been converted as ‘Residential’ in the Revised Master Plan. Meanwhile, the respondents had argued that the Tribunal has no jurisdiction to entertain and decide the application as no substantial question of the environment has been raised in relation to the Scheduled Acts under the NGT Act, 2010. Another objection was that the proceedings before the Tribunal ought to be dismissed in the face of the proceedings pending before the High Court of Karnataka. The Tribunal rejected this argument saying the matter handled by the Tribunal was entirely related to the ecological degradation and restoration of the area, while the High Court will handle the land acquisition, allotment and transfer to third party. Citizens of Koramangala, HSR Layout and Bellandur areas have written to all industry bodies and government departments concerned, highlighting the violations in upcoming SEZ near Agara in Bangalore, developed by Mantri Developers. 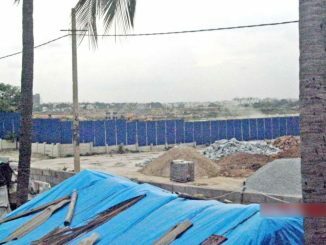 The petition by citizens’ groups in North Bangalore and Namma Bengaluru Foundation questions the process through which the state government gave approval to a SEZ project on a wetland.